Making the most of skin and feathers. I always think it is a great shame not to use all of an animal that I find whilst foraging. I have in the past and still to this day create some stunningly beautiful and compelling art work from dead things. But where do you start? How do you preserve a bird (or animal) skin for future use? This short 7 minute film in the “Roadkill” series shows you how…. In this film I show you how to skin and preserve in a very basic way (using just salt) a bird in the feather. 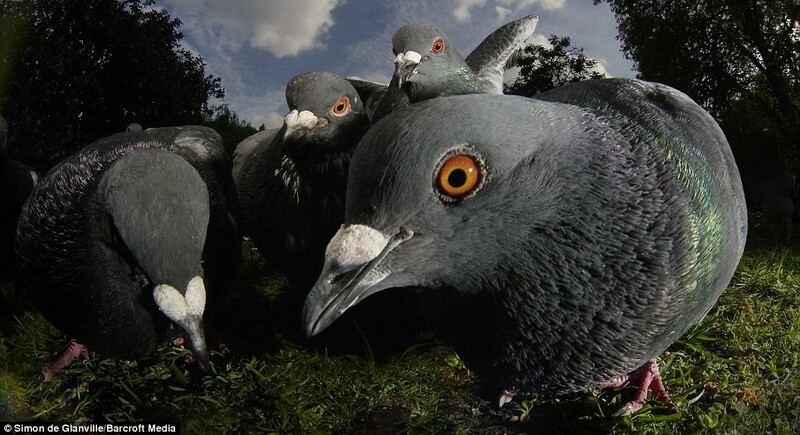 This film features three birds; a blackbird, a magpie and a pheasant. To see a close up image and blog about the Shamanic Roadkill Pheasant Cape click here! 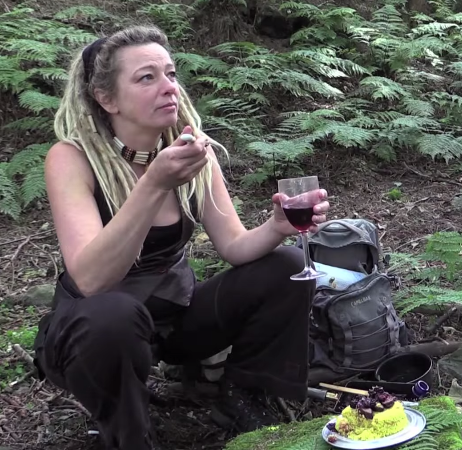 Last year I made these “Wild Food Foraging in the Woodlands” films with Film Maker Claudia Nye. The pilot film in the “Roadkill” series “Identifying Edible Roadkill by the Woodlands” aired on the 15th April 2015. “Wild food foraging in all its forms isn’t about being poor or desperate, its about being opportunistic, creative, in tune with ourselves, nature and our bodies. Wild meat foraging in particular uses no packaging, has less chemicals, fewer food miles and contains less pollution; it is cruelty free and often ‘Vegetarian’ friendly; it fosters biodiversity; our bodies ‘understand’ these natural foods, therefore cancers and other physical ailments are minimized because our immune systems are minds are boosted naturally. Many are realising that numerous shop bought food items are more suspicious than nutritious. 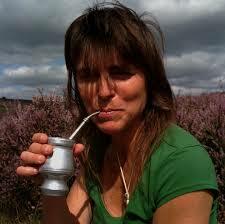 Wild plants are very different now from chemically cultivated foods and farm animals taste nothing like game animals”. ‘Easier to Remember’ ROAD-SIDE CHECKLIST! 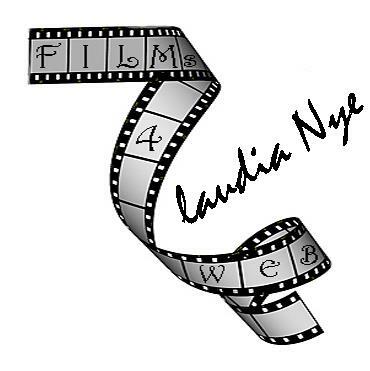 Originally from Argentina, Claudia is a Scarborough based, award winning BAFTA nominated documentary film maker with 21 years experience in the field of media. Her work ranges from broadcast (BBC/Channel Four) to private and public Commissions (Film Council/European Fund), through facilitating community based projects with the youth, and teaching in FE and HE sectors. These movies are for Woodlands.TV . If in doubt, ask someone else’s advice who knows what they are doing, or just leave it well alone! Sooooo! Should you try it? If you can stomach the thought of eating roadkill, and are confident you can pick out the animals safe for consumption, then I’d urge you to give it a try. If you’ve ever eaten pheasant, hare or rabbit in a restaurant, paid a small fortune for the privilege and almost broken your teeth on the buckshot, you’d probably relish the chance to eat your gamey goodness without the fear of fillings afterwards! Eating properly examined and prepared roadkill is definitely healthier than meat heavily laden with antibiotics, hormones, and growth stimulants, as most supermarket meat is today. Road traffic casualties never knew what hit ‘em – if you pardon the pun! They did not experience what it was like to be factory farmed, castrated, de-horned, or de-beaked without anaesthetics, they did not suffer the traumatic and miserable experience of being transported long distances in a crowded truck, and did not hear the screams and smell the fear of the animals ahead of them on the slaughter line. Ethically, I know what I would rather eat! DISCLAIMER… I have to say that I hold NO responsibility for anyone getting sick from eating Roadkill. I offer my experiences and knowledge here freely, I do not make myself accountable for anyone else. YOU make a choice, YOU take responsibility. If in doubt, ask someone else’s advice who knows what they are doing, or just leave it well alone! With that said…. THE ROADKILL CONNOISSEUR- Making a film for the ‘MUNCHIES’ food Channel – “Southern Fried Squirrel” & “Squirrel Pot-Sticker Dumplings”. 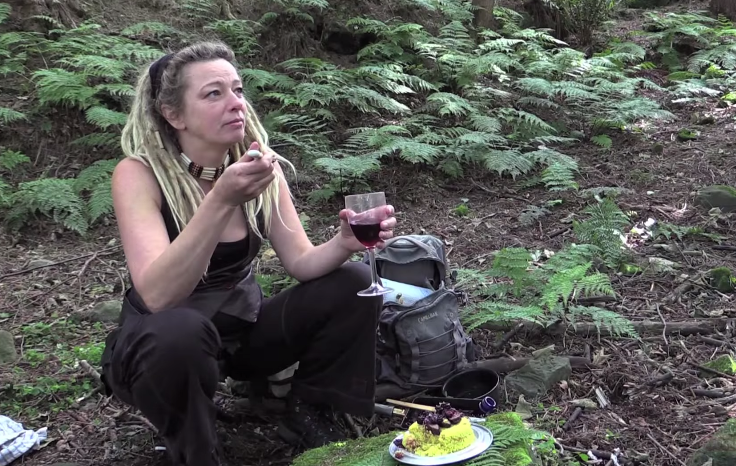 Last year I made some “Wild Food Foraging in the Woodlands” films with Film Maker Claudia Nye. The actual cooking of the dish is covered in the next short film aired on the 15th June 2015. These movies are for Woodlands.TV . Sooooo! Should you try it? If you can stomach the thought of eating roadkill, and are confident you can pick out the animals safe for consumption, then I’d urge you to give it a try. If you’ve ever eaten pheasant, hare or rabbit in a restaurant, paid a small fortune for the privilege and almost broken your teeth on the buckshot, you’d probably relish the chance to eat your gamey goodness without the fear of fillings afterwards! Eating properly examined and prepared roadkill is definitely healthier than meat heavily laden with antibiotics, hormones, and growth stimulants, as most supermarket meat is today. Road traffic casualties never knew what hit ‘em – if you pardon the pun! They did not experience what it was like to be factory farmed, castrated, de-horned, or de-beaked without anaesthetics, they did not suffer the traumatic and miserable experience of being transported long distances in a crowded truck, and did not hear the screams and smell the fear of the animals ahead of them on the slaughter line.